'Sal y Pimienta' Canceled: Lourdes Stephen Fired After Univision Gossip Show Ends? Major changes are happening on Univision this weekend as "Sal y Pimienta" is reportedly airing it's last episode on Sunday. 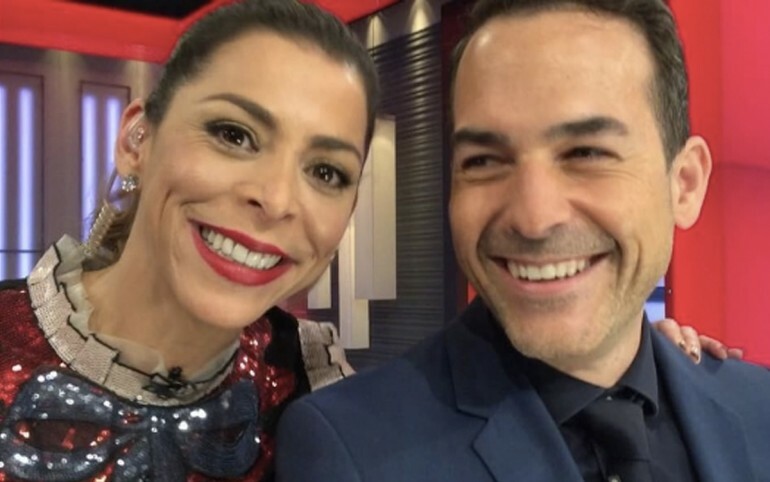 The weekly gossip show hosted by Lourdes Stephen, Jomari Goyso and Carlos Calderón has allegedly been canceled according to Hoy LA. After 6 years on-air, the entertainment program was created to support the Spanish-language network's Sunday night programming like "Mira Quien Baila," "Nuestra Belleza Latina" and "Va Por Ti." The hosts aired behind-the-scenes footage and exclusive interviews with the contestants that were booted each week. The report doesn't cite what the reasons for the cancellation is, but the network isn't currently airing any reality shows on Sunday nights, instead opting for drama series like "Su Nombre Era Dolores, La Jenn Que Yo Conocí." Calderón had already been announced to host another program called "Dale Play" starting Friday, February 17 at 8pm/7c. Goyso is allegedly going to focus on his work with "Primer Impacto" as the in-house fashionista. What is left up in the air is Lourdes Stephen's future. There is still no word on if she will continue with the network after the demise of the entertainment spot. Many viewers have grown fond of her personality and easy-going vibe and it would be a huge loss if she left. Lourdes's future came into question by users on social media after her husband attacked Univision news anchor Jorge Ramos, following Donald Trump's election victory. Michael Víctor Puchades wrote: "Life, marriage and justice won. Thank you Lord for all of your glory. In God We Trust. God Bless America." A Twitter user screenshot the message and sent it to Stephen. That same user later questioned "why would you let your husband put in doubt the credibility of your channel?" The Univision host didn't directly respond to her husband's words as she said she could only answer for words coming from her and not from someone else. Saludos familia! Hoy Dios ha puesto en mi corazón compartir estas palabras con ustedes. Como madre e inmigrante que también soy, comprendo el miedo y la incertidumbre que muchos sentimos, porque soy parte de esta comunidad a la que orgullosamente he servido por 14 años con vocación y respeto. No puedo hablar por nadie, ni nadie habla por mi, no somos responsables de los actos de los demás, pero si por los propios...y mi mensaje es que tenemos que unirnos en amor. Pero sobre todas las cosas, debemos de trabajar juntos, porque todos somos una familia y orar a Dios para que todo salga bien. Que tengan un maravilloso día y gracias siempre por su cariño y apoyo. Was Johnny Lozada Fired From 'Despierta América'? Rodner Figueroa Fired From Univision Over Racist Comments!